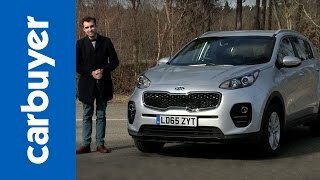 Kia at the Frankfurt Motor Show 2015 took the curtains off its all new compact crossover, Kia Sportage 2016. The very first sight of the model will bring into your notice, its sharp cutting design and updated interior. 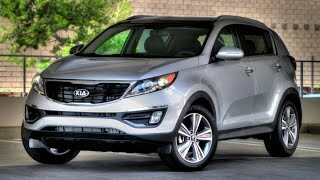 Let us have a look at the review of Kia Sportage 2016 to find out all the specifications and details of the model. 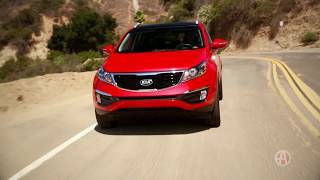 The interior of Kia Sportage 2016 will mesmerize you with its new looks and features and especially the cabin which has everything to make your ride serene. The driver oriented interface and well lined up buttons makes the ride safe and dashboard look neater. The three-spoke multifunction steering wheel hides behind it an information display amidst the gauges. The change thus takes over the traditional massive speedometer and brings a new better looking and innovative information display. The infotainment segment carries options for you; you can choose a seven-inch or an eight-inch touchscreen for the dashboard. The system will be enabled with satellite navigation, real time traffic updates, weather forecasts and much more. Not only this the interior of Kia Sportage 2016 also brings for you a USB charging point for front row and an additional point for the passengers at rear seat. In all the features and looks are quite interesting and will undoubtedly make you feel better sitting over those 10 way (driver) and eight way (passenger) power control seats. 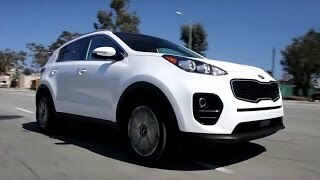 The exterior of Kia Sportage 2016 narrates the milestone company could have created for themselves while coming up with this model. Starting with the front fascia, it has the traditional ‘tiger-nose’ grille sitting amidst the headlights but this time at a different position. Grille for this model loses its connection with the headlights and takes a little lower stance which also allows the designers to make it a bit wider. Headlights are same as that we have seen in some of the recent concepts from the manufacturer, while the bumper comes mounted with the LED fog lights at both the ends. Moving towards the rear end you’ll notice horizontal lines running across the width of the model while the slender taillight design worked as inspiration and a metal strip connecting the two lights. Beneath this adorable set up the exterior of Kia Sportage 2016 dual-oval tips exhaust framed by a metal-effect diffuser. 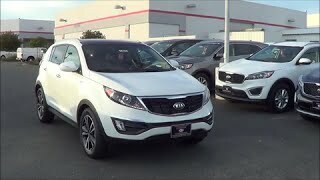 Beneath the hood of Kia Sportage 2016 are five powertrain options; starting with the top of the line we have a 1.6 liter four cylinder engine generating total output of 174 hp and peak torque of 265 nm. Second is a 1.6 liter naturally aspirated and cranks total output of 130 hp and peak torque of 161 nm while the third is a 1.7 liter turbocharged throbbing 113 hp and 280 nm. Last one in the lineup is a 2.0 liter four cylinder turbocharged engine producing total output of 134 hp and peak torque of 373 nm.